My sister told me a story that I can’t get out of my head. She was paying for her groceries at Wal-Mart. She began asking the woman scanning her groceries about her Thanksgiving plans, her work schedule, and the frenzy of shopping around the corner that would take place at Wal-Mart. The woman began to share about her personal family situation- divorce, split families, a 44-year-old single mom. Because of the volume of business at Wal-Mart, she would be required to work over the Thanksgiving holidays. She would be working Wednesday, Thursday, and Friday. Her 14 year-old will sit at home by himself while she works Thanksgiving Day from 10-7. She has no other place for him to go. She requested off, she’s worked there 21 years. The answer was no. Mandatory for all. I’m not upset at Wal-Mart, or any store for that matter. They didn’t create this. We did. Our materialism. Our focus on gifts. Our clinging to traditions. That is what has created a scenario for the stores that places them in a position to capitalize on the opportunity. In my mind, I’ve created a picture of this woman and her son. I see her 14-year-old like I picture my Jacob and my heart breaks. God won’t let me shake this image I’ve painted. For this particular woman, maybe I’m off. Maybe I’ve romanticized her story in my heart. Maybe not. Regardless of this one story, I think God won’t let me shake it because our world is full of stories like this we fail to see. I tend to live in my own little bubble at times. Thankful for my little world, focusing on the blessings that abound in my home. But there is a larger world outside my little bubble that breaks my heart when I allow myself to go there. It’s easier to live blind to the hurting world around us. I’m certain that is not the way of Jesus. Right now I’m sitting in a cozy guest room at my mom’s house in Georgia. I’ve enjoyed days of lounging, laughing, and feasting, surrounded by the love of family. It’s easy for me to focus right here. To thank God for these blessings. But He keeps bringing back the picture of this woman and her son. He loves them as He loves me. Thanksgiving Day on social media we will see feeds filled with beautiful family photos. The captions will say “Thankful” “Blessed” “Family”. I will love scrolling and seeing these beautiful pictures filling my feed. But there are others all around us who don’t have the picture perfect looking family. Many will feel thankful still. Many will not. Many will feel blessed minus the Rockwell portrait, many will not. I was reading in Matthew this morning as I reflected on how thankful I am today. Thankful for my family near and far. I read this and then God brought to mind the lady I’ve never met from Wal-Mart. I don’t know if this woman is a believer or not. I don’t know anything about her. But I know that she has captured my heart. Until 4 years ago, one of my favorite days of the entire year was Black Friday. Every year as long as I can remember I shopped on Black Friday. Either with my mom, sister, or friends. I rarely missed one. Thanksgiving night we’d scour the sale ads, make our strategic mapping of the course, then spend an entire day shopping. Three years ago Seeking Christmas was published. 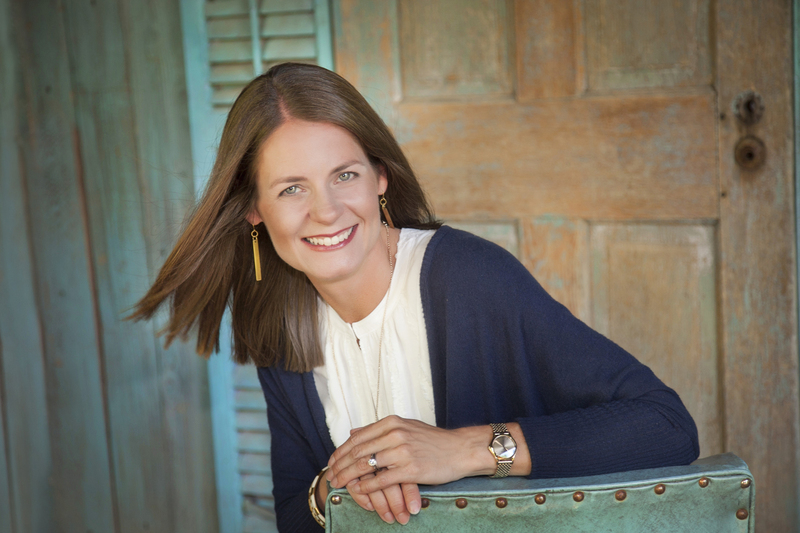 I thought I was writing Seeking Christmas to help families discover the true magic of Christmas by giving tools to create traditions that focused on what Christmas really means. Today I look back and see that Seeking Christmas changed me. It was a pivotal turning point. The changing process wasn’t overnight. It’s been over years. Part of why I wrote Seeking Christmas was to counter the commercialism and materialism of our culture. It creeps into our families in an effort to entangle us. While I’m a huge proponent of traditions, I also am a fan of breaking traditions and creating new ones. Sometimes we cling to something because we believe we can’t break tradition. It’s what we’ve done forever, so we must continue on. When we stay in that place, we miss out on creating more meaningful moments. The clinging to tradition can be stifling. It can choke out what might have been. The year Seeking Christmas was published I attempted the traditional Black Friday shopping, but my spirit was unsettled. Each store I went into I saw all that is wrong with Christmas. The carts filled to overflowing with gifts, the maxed out credit cards, the pushing and shoving to make sure you get the item you came for with no thoughts to the others wanting the same item, the honked horns at stolen parking spaces. For the first year in my shopping life, I left Black Friday without buying a single thing. And I felt sad. I was sad at what had always been that I’d not clearly seen. I was sad that I spent my morning out supporting the very thing I hoped to change within families. The year after Seeking Christmas was published, I broke my Black Friday tradition for the first time ever. The reason is that it didn’t coincide with the heart of my message. How could I write about celebrating what Christmas is truly about and then spend a day shopping and feeding the very thing that is wrong with Christmas? That year we created a new tradition instead of going out shopping, we would stay in creating. We crafted and made handmade gifts. Each year since has been a little different. I thought I would grieve the giving up of Black Friday. I thought I would feel I was missing out. The opposite happened. It freed me. Over the past several years, we’ve focused less and less on material gifts. Yes, we give our kids plenty of gifts, but we give more experiences than toys. We give them gifts of opportunities, memories, and trips. These usually aren’t bought in the store. Five years ago you never would’ve convinced me I would ever give up Black Friday shopping. Like many things, when we feel the prick of God in our spirit and we act on it, He blesses us. I’m not saying Black Friday shopping is wrong. But there are times God will poke us and He is calling us to something that will cause us to walk against the current we are living in. That is what He did in my life and continues to do. God continues to poke me at things that others freely enjoy and He gives me the option of listening to Him or following what others seem free to do. I’ve found that my soul rests still when I listen to the poke of God. When I resist the poke and go along with everyone else, the gratification is temporary. And the poke comes back. This Thanksgiving would you consider the lady in Wal-Mart who is required to work because the demand for store hours is such that she will work 3 straight mandatory days? If there is any way you can not shop on Thursday or Friday, would you kindly consider it? Our dollars send the loudest message of all to stores. When we spend, we tell them we like what they are doing. When we don’t spend, we tell them we want to see change. Family is the heart of civilization. Family is the beautiful gift our Creator gave us. What is most important is family. And according to Jesus, our “family” isn’t only by blood or marriage relations, it’s by those who follow the will of the Father. To honor family, we must honor all families. To cherish our own at the sake of another seems selfish. To spend our money on a day or days that others are forced to work when they should be home loving on their own family seems unfair. If God has poked your spirit over Black Friday shopping, may this be the year you follow the poke? It’s only two days of prolonging the purchase. Waiting until Saturday. Delaying our desires for the sake of another. It seems small and insignificant. Like our few dollars make any difference. But they do. I believe God multiplies our offering of restraint to bless the families at work on these days from our spending. Here’s a radical idea. Maybe a new tradition is going out on Black Friday, but not spending a dime. And all we do is go to the people, the ones working, and bless them in some way. Pray with them or over them. Hand them a gift, take them a plate of food, give them a gift card. If you love being out on Black Friday, but you have felt a poke, maybe it’s time to create a new tradition. I unzipped his backpack to begin the process of tossing out papers, stacking up papers, and looking at homework for the week when I found a gift bag in his backpack. He tossed his tennis racket on the driveway and raced towards me. “Reliable. Hardworking. Steadfast.” My voice cracked, the tears welled up. “You forgot this one.” He pointed to the bottom of the picture of words. The weight of the words pressed hard in my heart. He is that. He is all the words she selected to describe him. The words she blessed him with. The words that will dig trenches in his soul. The gift of words. A blessing. In a world that can be cruel to a kid. In a world of comparisons. In a world of striving. When temptation is great to let our identity take a wrong turn, words can be the blessing our kids need most. Words are important. Sticks and stones may break my bones but words can never hurt me. Lie. Words can damage severely. But words can build, heal, restore, shape, and mold as well. A few years ago I wrote this post about a favorite Christmas tradition. A father’s blessing. A letter my husband writes to our children every Christmas Eve. They find their handwritten letter hiding in the tree on Christmas morning. The words are for their eyes only. The words speak to their character, their heart, their faith, and the year. It’s life giving words. It’s what he sees in them that they may not see. What God impresses on his heart to share with his boys. It’s the most special gift we give them each Christmas. It costs nothing but it is treasured above all gifts under the tree. For each of the boys’ birthdays this year, I wrote them a birthday blessing. 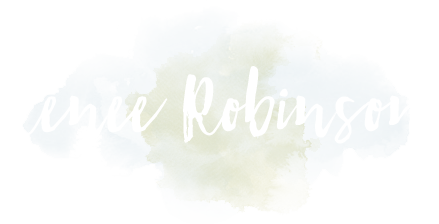 In this letter, I pulled prayers and scripture out of my prayer journal that had been prayed for them. I listed the date and the exact words I’d prayed. Each letter contained about 10 prayers or verses that were given uniquely for them. These are the kind of gifts they may not jump up and down over. There is no “wow” factor. But they can actually change their life. I periodically write letters to my boys. Sometimes when they are facing a challenge. Sometimes for no reason at all. Sometimes as an intentional blessing. Always to give the gift of my words to build them up and point them to their Savior. These types of words are what they crave. Our culture offers superficial building up. Telling kids they are great, awesome, and excellent. Deep down, they know they aren’t awesome all the time. They aren’t great a lot of times. These words don’t speak to their hearts. They want to know what about me is so great. Give me concrete examples of why I’m great in your eyes. Blanket statements of goodness are not blessings. They can do more harm than good. This generation doesn’t need to hear they are amazing. They need to be looked at in the eyes. They need to be loved unconditionally. They need to know they are known and loved. They need to know they matter, not because they are awesome, but because they are made in the image of God. One of the greatest gift we can give our kids under the tree this year, is the gift of our words. Words given to bless their lives. Words that will speak deep into their souls, reminding them they were created for more than this world. 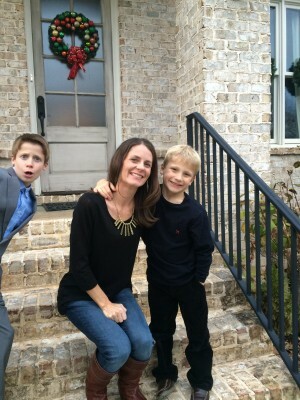 I have come to realize that my boys only retain a small portion of what I speak to them. My words are granted only a few seconds to slip in before the door of opportunity slams. Written words aren’t blocked by doors, they slide under the crack of the door. There they remain and can be taken in slowly over time and multiple times. When I speak, my words can be tuned out. When I leave my words in writing, they can read them when they most need them and as often as they wish. A letter from a parent to a child is a tool that plants words deep into the soil of the soul. Those words remain with them for life. When the words are most needed, they are waiting to be unearthed. Resurrected to life in the heart of the child. When a child needs reminding, your words are there. When a child transitions through life or needs comfort, your words are there. When your child needs affirmation or understanding, your words are there. Words hold power to guide, heal, touch, correct, love, inspire, and encourage. They shape our thoughts, direct our minds, and impact our hearts. Words from a parent to a child are an invaluable gift. It’s a legacy passed down. A passing of your transparent heart to theirs. As parents, we compete with a busy world for the attention of our children. We have so much to share and a short time to make an impact. Let’s become intentional even with our words. Let’s bless our children this Christmas. It will be the gift they didn’t ask for, but the gift that will continue to give back over the years to come. “Oh, he would LOVE this one!” My son held the gift close to his chest. He raced from display to display to find the perfect gift. The assistant stocking the shelves glanced over her shoulder with a smile at his exuberance. The experience was similar with each child. They darted around the store to find the gift they knew their brothers would love. They raced home to wrap and place it under the tree. They talked about how they can’t wait to see the look on their faces when they give their gifts. Loving the giving spirit I saw, I took it a step further. The lack of enthusiasm echoed loud around the kitchen table. Where was the exuberance I saw only days ago? Who stole their excitement? I ran upstairs to get dressed “real quick”. Fifteen minutes later, I had a pile of clothes on my closet floor I’d tried that didn’t work. I ran through scenarios in my head. The temps would start out cold, then get warmer. I kept saying to myself, “I have nothing to wear.” This was a lie. The bigger issue is that I had too much to choose from. I just didn’t like much of what I chose from and spent too much time trying to make the perfect choice. I was weighed down by the pressure of making the perfect outfit selection. I was meeting a friend for breakfast. Other than that, I’d be home working. Grab the kids from school, play outside hopefully, possibly see another human being other than my kids. So why in the world did it take me 15 minutes to find something to wear? It didn’t stop there. I then had to hang up all the clothes I’d thrown on the floor, then wash my face and put on makeup. Forget the shower, I’d run out of time. My “run upstairs to get dressed real quick” ended up taking 30 minutes- what should have taken 5 minutes. Too many choices and my desire to make the best choice tilted my morning routine. At this point, I am now rushing, which makes me snippy with my boys. All because I had too many choices and couldn’t make a simple decision. Christmas isn’t only complicated because of what the world does to Christmas, it’s become complicated because what we have done to it as well. We have more choices than we can manage for how to have an intentional Christmas. Get on Pinterest, type in some key words, and you will spend hours trying to determine which one is the very best. Stop in the Christian bookstore, and you will find no shortage of advent books and activities. Talk to a few friends to find out what they do. People become pretty passionate about what they do with their family and are convinced it is the very best choice. And it very well may be. For them. Here’s the thing. Too many choices, too much clutter, and we freeze. We have a hard time just grabbing something and going with it. We have a hard time blocking out the noise of what everyone else is doing and finding joy in what we are doing. 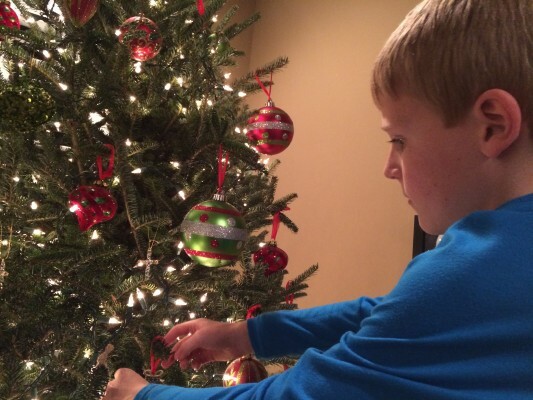 What makes Christmas special in each home will look drastically different from home to home. Sometimes it is the simplest acts, the smallest of traditions that make the biggest imprint in the heart of a family. In our home, there are a few traditions we do every year, but we have learned to change as our children have grown. Traditions are vital to a family, but traditions can still be a tradition and change shape at the same time. 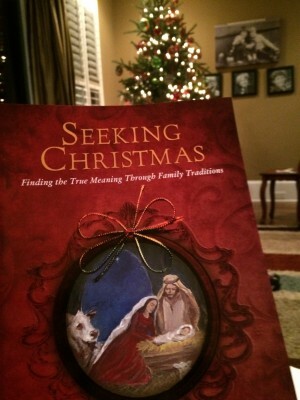 Seeking Christmas has been a tradition for the last 6 years. It is one that I’ve loved for its simplicity and flexibility. It doesn’t add so much that we become bogged down in choices and activity. In the simplest of ways, we celebrate the Savior, who offered the simplest, yet most elaborate gift the world has ever seen. Our boys are getting older, Seeking Christmas gives us room to go deeper now and build on the foundation we’ve been laying. This year, I stumbled upon something we are adding to Seeking Christmas that adds no more stress, no more activity, no more clutter. It adds another layer to understanding the gift of our Savior. And it works in perfect harmony with our Seeking Christmas tradition. I’m sharing not to overwhelm you in more choices when you already have plenty to pull from. I’m sharing because for our family who seeks simplicity so we can enjoy what truly matters, this has been a gift. Seeking Christmas began in our home when our boys were little. We had 7 ornaments that told the Christmas story. Each night we’d hide an ornament and send them on a hide and seek adventure. Their faces would light up when they found the ornament, and we would read the devotion together. As they’ve grown, they still race to find the hidden ornament. 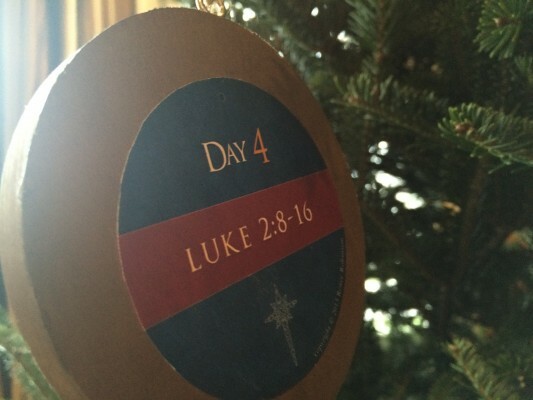 As they’ve grown, they take greater part in the advent activity. Now they read to the family. Now they answer questions with enthusiasm, now they write in the journal as well so we have a record of the years. This year I discovered Ever Thine Home. I wasn’t looking for anything to add to advent or to our Christmas tradition list. But when I stumbled upon it, it was clear that this is something that would bless our family. I love everything about their purpose and their products. They have something that goes along with Seeking Christmas so beautifully, so I’m excited to add to our tradition list this year. Simply. 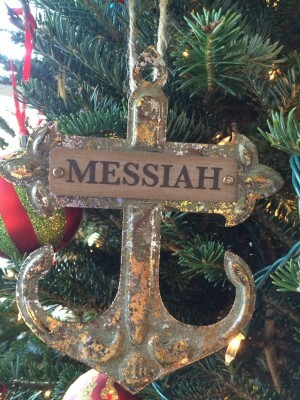 7 Savior Names ornaments. And a tiny little booklet to accompany. 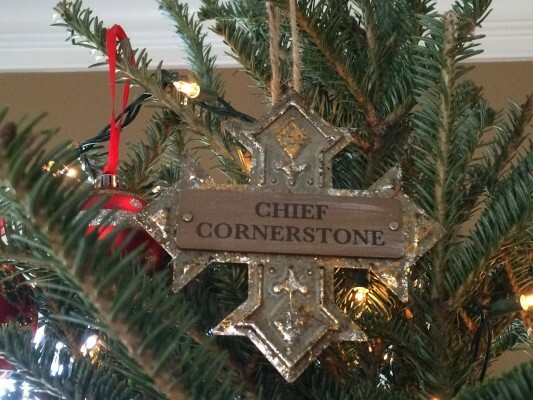 They also have 7 Christmas Names ornaments, which are gorgeous as well. 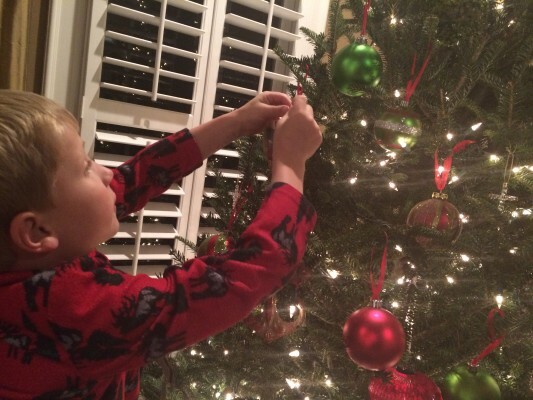 For our family, we are already hiding and finding an ornament with Seeking Christmas. Now we can hide and find 2 ornaments. The reading is so brief that it adds only a minute or two to the time. It adds no more complication, only another layer of the beauty of His story. This year I’ve been having my own secret tradition. In the quiet morning hours, I’m Seeking Christmas alone. I’m studying His names alone. All these years, I’ve reserved these readings for times only with my family, but this year I’m enjoying this private time of devotion as well. And here is one more resource your family may love. It’s one of our favorite books. 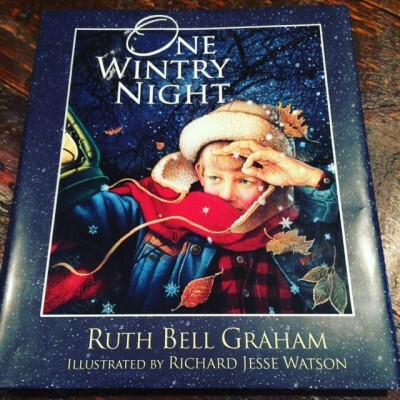 One Wintry Night by Ruth Bell Graham. 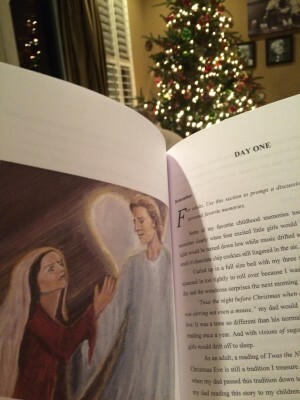 This book tells the Christmas story from the beginning of time. How God was always putting into motion a plan to save us. The story is told in such a way that the kids are drawn in and held by her words and the illustration. It’s beautiful. Again, this isn’t one more thing to try to squeeze in. It’s just a simple way to emphasize the true meaning of Christmas. It’s a long book, so we enjoy reading it over several day. I read it while the boys are eating breakfast in the morning. By now, you know that for me, simplicity is key. I’m drawn to simple ways to communicate truth. Simple ways of doing life. I feel that the less clutter we add, the more the gifts of life shine through. This is true at Christmas as well. Sometimes it’s the simpler traditions, the simpler activities, that shine the brightest in our season. Sometimes it helps when we just make our choice and go with it. Even if it’s not the “perfect” choice. We prevent ourselves from getting weighed down in a sea of too much to choose from in an effort to make the perfect selection. It’s Jesus. And it’s the heart of your family that will make any tradition you choose beautiful. It won’t look like anyone else’s. But it was never intended to. We’ve all had that kind of Christmas. The one that seems to rush by only for you to look back and feel you missed it all. The one that you feel you are on the Christmas treadmill, checking off the list, racing from obligation to obligation, panting for air. Then you wonder, did you miss Christmas? Did you show your kids what Christmas really means? If you are keeping a close eye on your social media feed, you will feel you’ve failed at Christmas. When you see cutesy crafts one friend does. When you see the elaborate home decor of another friend. When you see the friend who is invited to party after Christmas party, and you’ve not received one invite this season. If you scroll through Pinterest, you will feel unspoken pressure to make new recipes, attempt new projects, do something cuter and more unique than anyone else. And when you can’t keep up with it all, you can begin to feel Christmas passed you by. I don’t go to the store much at all this time of year. I don’t much like the crowds, the overspending, the pushing and shoving. But there are times I can’t avoid it. Like when Andrew begs me to take him to use his birthday money to buy a gift for his brothers. I see the buggies loaded with gifts and toys falling out. I’m thinking to myself that our Christmas doesn’t look like that. Before I realize what I’m doing, I begin to think of additional things I can buy my kids. As if I can buy Christmas. It sneaks in. This pressure of society to do to Christmas what has nothing to do with Christmas. Here’s the secret to not missing Christmas. The absolute certain way that you will not miss it. It’s to remember this. Christmas isn’t a day or a season. The true spirit of Christmas can’t be wrapped in a package. It can’t be decorated fit for a magazine. It can’t be dolled up and posed for pictures. Christmas is the gift of God becoming man. Heaven coming to Earth. To die. So we can live. So if you fail to get the perfect Christmas picture of your kids. If you fail to make cookies or a gingerbread house. If you forget the teacher gifts or sending out cards. If you never got to watch the Christmas movies. If the tree never gets decorated or the lights are never lit outside. If the Christmas projects fail. If you buy your gifts and feel they don’t compare. If your Christmas dinner isn’t perfect and is burned instead. If your home decor is hodge podge compared to the amazing images on Instagram. If some of your traditions didn’t take place. If all of this combined, Christmas is still yours if you have Christ. Christmas isn’t a day or a season. It’s not bought in a store. It’s not baked in cute tins. It’s not posted online. Christmas is the gift that came and that is alive every single day. So if you feel your season is setting up for one big failure, here’s the secret to making sure you don’t miss Christmas. It’s to change the way you look at Christmas. It’s to dig down through the clutter. To get back to the basics. To rediscover simplicity. Everything we do to make Christmas what it is in America is an add on. It’s a bonus. It’s not what makes the holiday the holiday. You can’t take away what He did. That gift came. That gift remains. That gift is celebrated at Christmas, yes. But that gift is to be celebrated every single day of our lives. Give yourself a gift this Christmas. Release yourself from the pressure to create the perfect Christmas by changing the way you view Christmas. When we remember that Christmas is alive everyday, we realize that no matter what our season looks like, we can’t miss Christmas when we look to the cross. Everyday is Christmas. Everyday is Easter. Everyday is Thanksgiving. Remembering this is how we let go of the pressure of “the day” or “the season”. No matter how behind you feel you are, it’s never too late to capture the true spirit of Christmas. Right now. You don’t need any supplies, no materials, no planning. You need one thing and one thing only. Open up the Bible. Matthew 1-2. Luke 1-2. This is a good starting place and you can sit with these verses and these chapters for days. If you are feeling overwhelmed by Christmas and all that accompanies this time of year, maybe this is a good time to push everything aside and pull out His Word. Focusing our hearts on this story of Christmas, with nothing fancy to distract. Sometimes it’s the very thing we need. 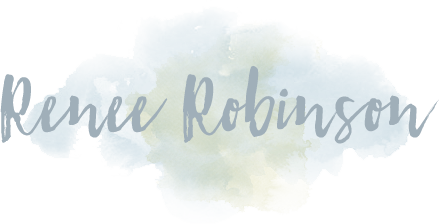 When I sat down to write today’s post, I’d intended to write about some of my favorite resources that you may love. And I still plan to post those for you. But as often He does, the Lord changed what I’d planned to write for today. It’s funny when He does that. He’s so unpredictable and unconventional. 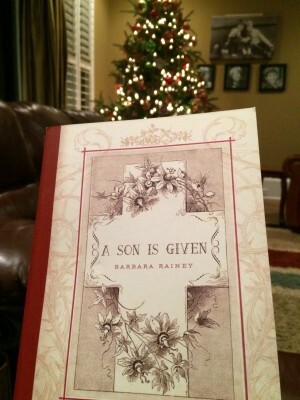 I wrote a Christmas devotion. I have a window of about 6 weeks out of the year I can market and sell my book, yet today, I felt the Lord leading me to share with you the simplicity of going to His Word. Rather than pointing you anywhere else, just pointing you to His Word. And you know what? It might be the very thing your soul needs today. I believe it’s the very thing I need today. So for today, release yourself from the burden of creating the perfect Christmas. Inhale. Exhale. Open His Word. Read His Word. And remember, He is Christmas. Because He is Christmas, if He is in you and you are in Him, you can’t miss Christmas. Even if no decoration goes up, no gifts are bought, no parties attended. If you have Him, you can’t miss Christmas. If you are reading my blog, you are in my prayers. I love you from the bottom of my heart, you are the reason that I write. I pray the Lord blesses your Christmas season as you focus on Him and Him alone. He is all we need. Andrew has always had a sweet sensitivity to God, God’s Word, and all things Jesus. Don’t get me wrong, the boy isn’t an angel. He isn’t perfectly obedient and free of trouble. At all. He is all boy. And he is 7. But. The boy loves Jesus. 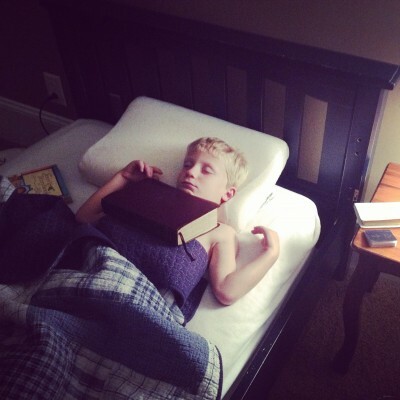 He sleeps with his Bible. He asks me to read the Word to him nightly. He listens with attentiveness to Bible at school. Other than lunch, Bible is his favorite part of the day. Andrew has asked for at least a year to be baptized. We’ve held off because of his young age. We really wanted him to understand that baptism doesn’t grant salvation. We wanted him to understand that baptism is a symbol of him dying to his old life and resurrecting to new life in Christ, a public profession of his faith, but not a seal of salvation. A couple of weeks ago, we were driving down the road when he said he is so afraid he isn’t really a christian. He went on that he loves God and is so afraid he isn’t going to be with God. We had the discussion on the level a 7-year-old could understand about how we are saved by faith alone in Jesus Christ. I reminded him of the verses we’ve learned. Believe in the Lord Jesus Christ and you will be saved – Acts 16:31. If you confess with your mouth that Jesus is Lord and believe in your heart that God raised him from the dead, you will be saved- Romans 10:19. In christianity, the answer is No. We aren’t good enough, but He loves us with an unimaginable love anyway. We are sinners, saved by grace. This is not of ourself it’s the gift of God. (Ephesians 2:8) We couldn’t do enough. It’s why Jesus was born to die for our sins. Before we accept Jesus as Lord of our life, we have to confess we are a sinner in need of a Savior. My fear for the children of this generation is that they are told so often how good they are. They are praised and esteemed to the point I wonder how they will recognize that they are a sinner in need of a Savior. Over the last several weeks, Andrew has asked us to pray with him to receive Jesus. Again. We’ve stressed that when we are saved, nothing can pluck us from His hands. He’s afraid he didn’t do something right, say something right. We’ve explained that is religion, not christianity. Christianity is faith. God knows Andrew’s heart. I’ve shared this before, but I often pray with or over my boys that God would grant them a “different” kind of spirit like He gave Caleb. One that is willing to follow God wholeheartedly. I want to raise wholehearted men who love the Lord more than they love their wives, their children, their life, their anything. “Yes, please,” he said sheepishly. I led him for about the 4th time in prayer asking Jesus to be the Lord of his life. And for many years to come, I will continue to pray for his faith. That it will be strengthened, matured, and that it will become his own, not merely an extension of our faith. And this. This is Christmas. Christmas isn’t the season, the day, the gifts, the parties, the food, the decorations. It’s not the Christmas movies by fire with hot cocoa. All fun and wonderful. Christmas is the most amazing gift we could fathom, given in the humblest of ways. God became a baby to grow up to die for our sins. Willingly. What kind of love is that? So, I get Andrew. That kind of love is too much to bear, too grand to understand. To receive that kind of love freely? It makes no sense. 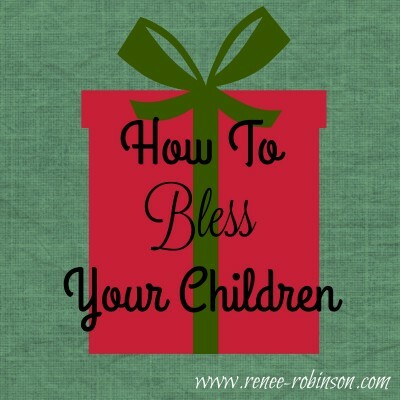 https://renee-robinson.com/wp-content/uploads/2015/12/IMG_3397-e1449076092983.jpg 400 400 Renee http://renee-robinson.com/wp-content/uploads/2017/08/ReneeGrey_03.png Renee2015-12-03 05:00:532015-12-02 18:01:02Am I Really A Christian? There is something about a Christmas stocking I love. It’s this idea of giving in secret. A simple gift from the heart. One that doesn’t seek to sit on center stage, doesn’t demand attention, desires not to impress. One content to wait patiently and humbly in hiding for one reason and one reason only. To bless. 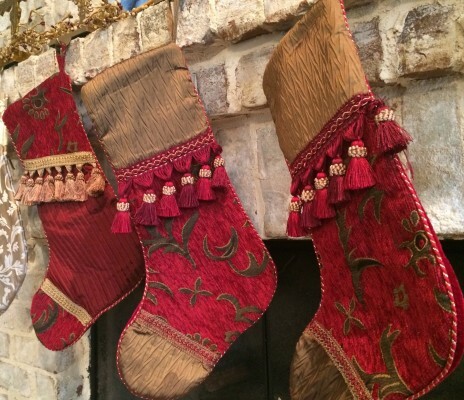 As I sit here looking at our stockings hung from the mantle, they all look the same on the outside. Christmas morning each stocking will be filled with items uniquely given for the one to receive. On the outside they will all look the same. But there is this little humble secret inside. These gifts given from the heart. Simply. 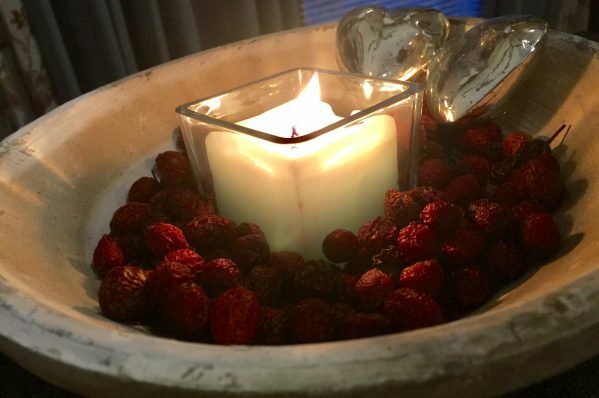 When a gift from the heart is wrapped in simplicity, room is made for splendor. No distractions compete for attention or overshadow the true gift. Christmas simplicity makes room for the splendor of a King. Luke 2:7 Then she gave birth to her firstborn Son, and she wrapped Him snugly in cloth and laid Him in a feeding trough-because there was no room for them at the lodging place. Jesus, the ultimate gift ever given, was wrapped in simplicity. Magnificence cloaked in simplicity. The gift came humbly. Jesus, Savior of the world. Prince of Peace. King of Kings. God became a baby. This gift sought not attention from the world or desired to impress the world. He sought only to give of Himself. He came quietly and humbly. Simplicity makes way for the splendor of a King. It’s not hard to drift into the American way of bigger is better, more is preferred. Christmas is a simple message. Christ was born to die for our sins so we could have eternal life through Him. He was born to die. A simple message that needs nothing added to it to make it better. Many of us struggle to keep Christmas gifts simple. Our culture creates a pressure to add more. Outdo one another. Images shared at lightning speed fill social media that whisper to us, we should add more, we should do more, we aren’t enough, give more, do more, decorate more. Be creative, be unique, be different. Stand out. We feel this unspoken pressure to consult Pinterest to create the most creative teacher or friend gifts ever given or to create memories for our children in the most unique of ways. Simplicity and humility flee. This is why I love the stocking. It’s gifts given in humble simplicity, hidden, not shouting for attention. A gift in a stocking isn’t crying out, “Look at me. Did I win best gift award?” It’s not asking, “Do I earn your approval?” It seeks only to give and desires nothing in return. No favor. When we fall to the pressure of our culture in our gift giving, it becomes about us. The attention is taken from the gift recipient and placed back on us. We might earn favor or impress, but we lost our humility. Christmas is the greatest picture of humility the world has ever seen. If we want to celebrate the true meaning of Christmas, it starts with modeling humility. Jesus knew He was the ultimate gift. Heaven came to earth. What greater gift is there? Pinterest has got nothing on that. He came to be the gift, and He wrapped Himself in cloths, lying in a manger, announced to simple shepherds, delivered by a simple, humble girl. All humbly simple. When we simplify, we can magnify Christ. In a share all, show all world, we feel the pressure to perform, which holds hands with the pressure to impress. The spirit of christmas is humility. It’s seeking the lesser position. A gift given in humility is not a gift that seeks to impress. It’s a gift straight from the heart that has lowered itself. It’s one that attempts to be the stocking gift, tucked away quietly waiting to bless privately. The attention we receive from our gifts can change the intention of our hearts with time. What if each gift we give this season seeks to be the stocking gift? The one wrapped in simplicity. When we aren’t influenced by the idea that we will receive credit, we are able to focus on loving and blessing the receiver of the gift rather than seeking to impress the receiver. I’m finding freedom this Christmas in choosing to simplify my gifts. When I let go of the pressure to receive praise or earn recognition, it’s amazing how my heart changes. When I take the focus off of myself and what I receive back from the gifts I give, suddenly my heart is turned to the ones I want to bless. And I can love them in the most simple of ways. I’m not weighed down by putting together friend or teacher gifts that will receive praise. Instead I’m free to humbly express my heart towards the one to receive the gift. It stops being about me, and the blessing has room to bless. If you feel weighed down by the pressure to impress, choose to follow the example of Christ. Give a gift packaged in humility that seeks only to bless and desires nothing in return. No favor. No attention. Be the stocking gift that tucks away quietly awaiting its moment of private blessing.